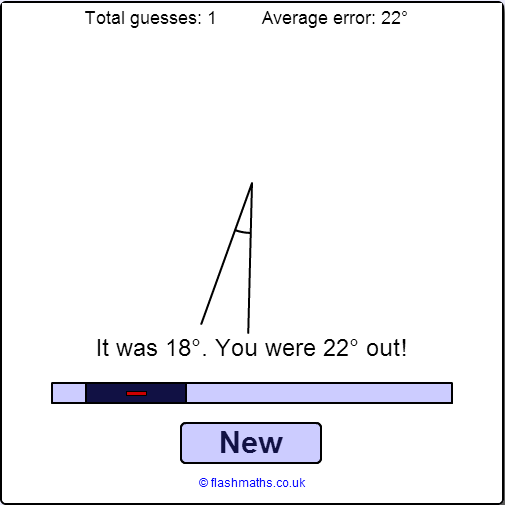 Flashmaths is a web resource for elementary and middle school students who want to do math activities and play games. The site contains some good Flash-based interactive activities and games with varying difficulties. These activities and games may help improve students’ mathematical skills. One activity I like in particular is the Angle Estimator activity where users can move the slider to estimate the angle shown. The average error is then calculated. The user with the smallest Average Error is the best estimator.